Roger Belland and his daughter Julie are 5th and 6th generation winemakers in Santenay, at the southern end of the Côte d’Or. 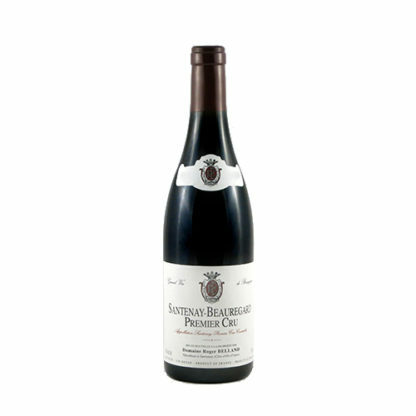 Their 2015 Santenay 1er cru “Beauregard” shows everything that is great about this vintage: perfectly rounded tannins, abundant ripe fruit, and a mouthfilling, sturdy finish. Wine Critic Allen Meadows (Burghound) awarded this wine 90 points, citing “exceptionally rich flavors,” “liqueur-like aromas of plum and earth,” and a “delicious, sappy, and palate-coating finish.” We agree, finding notes of currants and minerals, with a particularly complex and silky mouthfeel that is both lively and long.